My name is Kevin. I was born on 11th September 1997. 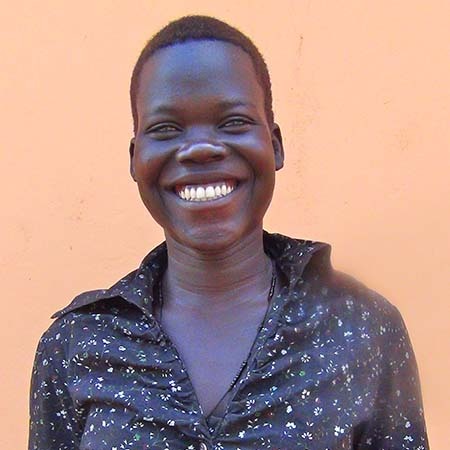 When I reached seven years, my father and mother died in the LRA War and I became an orphan. Then I started schooling when I was eight years in primary one. This was during the time when the insurgency in Northern Uganda was at its peak and I had no one to stay with and to take proper care of me. Fortunately, my aunt came to the village and took my brother, Sebastian, and me to her home in town. My aunt gave us guidance and showed us love and care. She taught us how to work in the house, washing clothes, cooking, sweeping the compound, gardening, and how to relate with our friends, relatives and neighbors. It was hard for me until U-TOUCH came to support me in school. I was in Primary four and with U-TOUCH support I reached Primary seven in 2012. I sat for my Primary exit exams and passed very well. I was then admitted to St Mary’s secondary school, in Gulu town where I have studied for the past two years. I am in senior three this year. My name is Auma Lillian Lucy, aged 19 years old. I hail from Pader town council. I heard about the free computer training at U-TOUCH through the radio. Thereafter, I became interested and applied for the program. 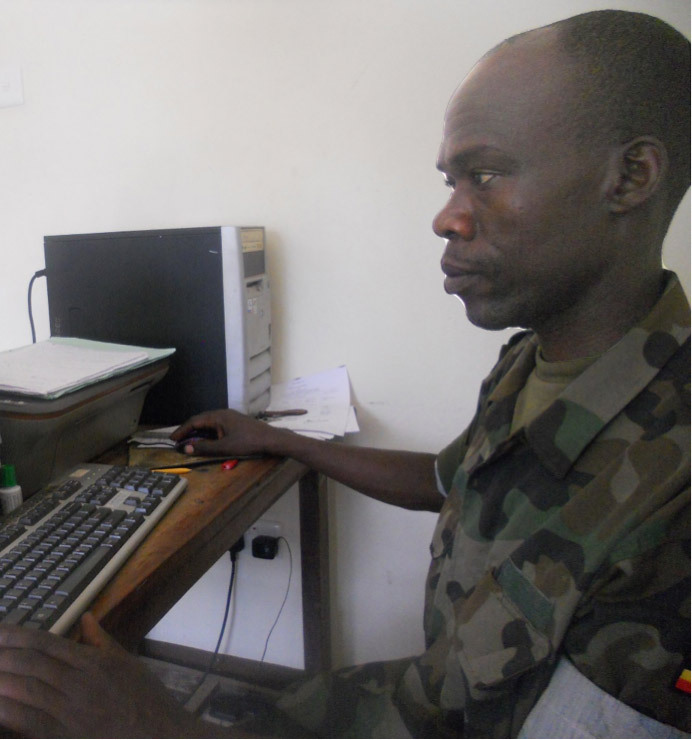 After completing training at U-TOUCH I became competent in use of computers and was hired as an Office Assistant at the Management Training and Advisory Center at the Pader Outreach Center. Now I am proud that I meet my expectations and above all, the training added value in my life in the following ways. a) I create office documents for this institution using MS Word program and also for my research work. b) The Internet knowledge helps me in carrying out my research in the different coursework given and making communications. c) The health education especially on the reproductive health made me to be aware of the tips on how to prevent unplanned pregnancy. d) Above all the ICT knowledge added much value in me especially in this position that I hold at this institute. The computer certificate was an essential requirement. I emerged the best and am proud of my position. All this is the result of U-TOUCH. My words to the youth who are computer illiterate, is that the world is going digital, therefore there is need for us to embrace it fully, by utilizing the free training offered by U-TOUCH. Thank you to our facilitators and the entire U-TOUCH team. After Wall Street, Trager spent some time traveling in Asia and around the US, formulating his personal code for the next chapter of his life: Live life with a purpose outside yourself. So when he ran in Deb Plotkin at a charity conference he could recognize the real deal. She enthusiastically shared U-TOUCH and the personal stories of beneficiaries—“as if they were her own children.” And, she completely astounded him with how much she has managed to accomplish with so little. Since that day, Trager has looked under the hood and kicked the tires. He’s traveled to and around Uganda, visiting U-TOUCH Centers and comparing what he heard to what he saw. His take? It’s real. While plenty of charity organizations pump money at problems, U-TOUCH is offering something with a much better return. U-TOUCH is changing lives. He saw that the more the Ugandans learn, the more they grasp. And he is not the only one to recognize that, with it’s English speaking workforce and political stability, Uganda is a great candidate for the growing technology outsourcing industry. Given his path, you can believe Trager when he says: Life is not simple. But it’s not as difficult as we make it. What matters is integrity and hard work; and a purpose outside yourself. He sees all of that in U-TOUCH. I went to Uganda, as I do each summer, to bathe my soul in the love and inspiration of the people who have suffered great hardship, yet hold onto hope in the future they are building. Every year I travel with optimism about the progress I will see and I have always been pleased! But this year was different. I went as a skeptic, determined to take stock of our progress with a critical eye, to look hard for evidence of stalling momentum or shortfalls in our plans. Well, I was pleasantly surprised at the overwhelmingly positive outcomes of U-TOUCH training in Uganda. All five Digital Centers in Mbale, Pader, Kitgum and Kabale and the Technology Innovation Hub (TIH) in Gulu have shown deep impacts in families and communities. 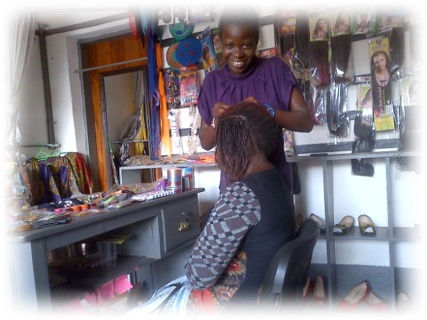 As a result of your support, unemployed young women and men–with their U-TOUCH certification and computer skills–are becoming entrepreneurs; becoming employed; receiving promotions or returning to school. As a donor, be proud of the work you have been able to accomplish for the women who can now support their families to meet their basic needs and human rights. Best of all the increase in family income is putting children back in school, they have improved nutrition and medical care and many are learning computer skills, just like their parent or older sibling! It was a terrific joy to be with all the U-TOUCH trainers, country-wide, for our week-long annual staff meeting. Once again, the U-TOUCH family was at work, growing and planning for the new year. This summer, the buzz at the TIH was about the first of U-TOUCH’s self-sustainability programs– the Graphic Design and Print Center. The graphic artists were busy creating eye-catching documents and visuals for headmaster’s of schools, politicans, wedding parties and for businessmen and women of the community. We are excited about its potential to help build a sustainable U-TOUCH future. The Women’s Empowerment room was aglow as local trainer, Beatrice, along with Zahra, a US intern, led 20 young women through the 3-week program. After becoming empowered women, strong with self-esteem and confidence, and understanding their rights, the women learned entrepreneurship skills to stand up tall and take on their future and that of their families and communities. Your generous contributions are hard at work transforming lives through technology and training. U-TOUCH centers are opening wide the window of opportunity for those who only knew as far as they could walk. Our beneficiaries now have a window to the world through the Internet. They are breathing deeply the air of opportunity, learning computer skills, life skills, job skills and entrepreneurship skills. They continue to venture down their new path, with new skills in hand, to find their dreams. Thank you! We are most grateful for your generosity, making a difference in the lives U-TOUCH! Women’s empowerment training has been the most remarkable thing that ever happened to me in the year 2014. Through the training I gained entrepreneurship skills, leadership skills among other skills that I use in my day-to-day life experiences. 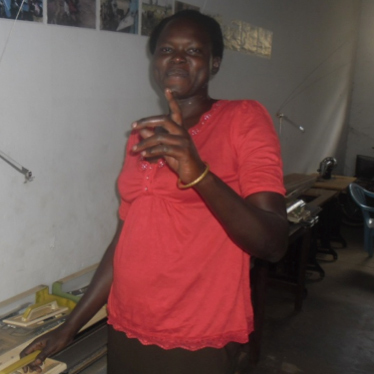 The business generates for me over 50,000UGX everyday and this income helps me to support my family. Unlike other vulnerable women, I am no longer financially dependent and I also employ two other ladies who help me with the processing of the peanut butter. The grant has made me impact on the community by inspiring other ladies and I believe that as I advance I will also employ many other women. I credit all of this achievement to U-TOUCH WOMEN EMPOWERMENT PROGRAMME. Twenty women between the ages of 20 and 30 participated in the U-TOUCH intensive three-week Women’s Empowerment (WE) program, developing leadership, business and technology skills for the Digital Age. The program was developed to address issues related to women’s rights in the home and in the community, employment and women in business. In a safe and confidential environment young women learned how different the Ugandan culture is with respect to women’s expectations and rights when compared with other countries in the world. By the end of WE training, men were invited to join them and participate in some highly interactive and exciting discussions of the roles and rights of women. Having access to technology has advanced women’s understanding of their hidden potential and the WE program has empowered them to become ambassadors of women’s rights and the WE program to girls in school and in their villages. WE graduates understand that they need to educate both women and men if they are to achieve equality for women. Women are the backbone of Africa. They bear the children, care for their families, work the garden, and spend hours walking for water. Too often these responsibilities keep them from the education and opportunities that would improve the lives of their whole families. Empowering women changes communities and economies. On a dirt road in the business district of Gulu in northern Uganda, a large, 5000 sq. ft. building has been renovated into a bright, busy, center of opportunity. The U-TOUCH Technology Innovation Hub (TIH) is the first of its kind to serve local enterprises with graphic design, print and copy services. As a provider of digital services for local businesses, the Hub’s income will support U-TOUCH with a sustainable business model for future training and service hubs. In a separate training classroom in the Hub, community members study ICT (Information and Communication Technology), graphic design, business services, and women’s empowerment, with more classes planned in photographic and video production, and entrepreneurship. The building itself was given to U-TOUCH by the Gulu District Local Government and grant funds secured by U-TOUCH allowed renovation of the property to accommodate the business center. The Hub is providing a place where business ideas are being developed and launched. 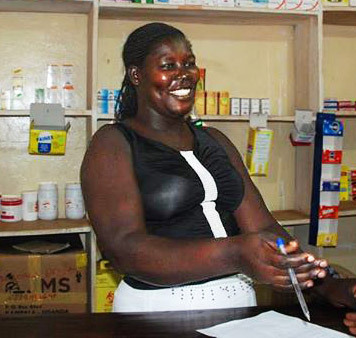 For this reason, the Gulu District Local Government is excited to partner with U-TOUCH, which has already made significant progress in helping the region, –decimated by the 20 year LRA War–in its economic recovery. In 2010, U-TOUCH established it’s first Digital Learning Centers and offered free computer literacy and skills training. The TIH is the realization of a dream to provide U-TOUCH program graduates with the next step – advanced skills training and employment opportunities.